Dental trauma refers to injury to the teeth and/or gums, periodontal ligament, soft tissue and bone in the area surrounding the teeth. Although dental trauma is very common in younger people, it can occur to those of all ages and activity levels. It is important that you seek immediate professional help following any type of dental trauma. In many cases, the difference between saving and losing your tooth depends on receiving proper treatment as soon as possible. If proper action is taken, it’s often possible to restore an injured tooth to full function and normal appearance. Unfortunately, sports-related injuries to the mouth and teeth are very common. Since such a high percentage of dental injuries occur when playing sports, it’s wise to consider preventative measures. Studies show that a high quality mouthguard can reduce the risk of sports-related dental injury by 60 times. When you consider the lifetime cost of replacing a permanent tooth, a custom-made mouthguard can be a wise investment. If you or your child play sports regularly, set up an appointment and we’d be happy to discuss available options. According to the American Association of Endodontists, chipped and broken teeth are the most frequent dental injury. If you suffer this unfortunate type of injury, it’s vital that you see a dentist within the next 12 hours. If you can locate any larger pieces of the tooth, it may be possible to reattach them. Otherwise, there are a variety of measures available to help your dentist save the tooth and restore it to normal appearance. If your tooth has been knocked out, try to locate it. If it’s dirty, gently rinse it off with water (being careful not to touch the root). Attempt to reposition the tooth in the socket. The sooner you do this, the greater the tooth’s chance of survival. Carefully push the tooth up into the socket. Then, hold it in place with your fingers or by biting down gently. Maintain this position for five minutes. It’s important that the tooth not be allowed to dry. If it can’t be replanted in the socket, place it in your mouth between your tongue and cheek. You can also put it in a bag of cold milk or a plastic bag with your saliva. Don’t use tap water since this could damage the tooth roots. Control bleeding by applying pressure with clean gauze or other material to the affected area. Head straight to the nearest available dentist, within 30 minutes if possible. It’s still possible to save a tooth that has been outside the mouth for an hour or more, but chances are much higher if you are seen within those first 30 minutes. If a tooth (or teeth) is pushed out of alignment, try not to move it. See a dentist or oral surgeon as soon as possible. Following a careful oral exam (along with x-rays), they will advise you on the best options for treatment. 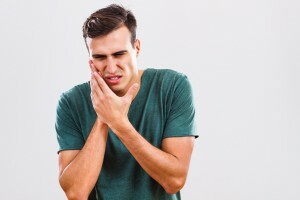 Dental trauma often affects the gums, tongue, and other soft tissue found within the mouth. Remove any foreign objects if possible, and wash and rinse the area. Apply direct, gentle pressure using gauze or clean material to help control bleeding. If you still can’t control bleeding after 10 minutes, head to the emergency room. At the Yuba City Dentistry Group, your oral health is our primary concern. If you’ve suffered some type of dental trauma, don’t hesitate to call and we will assist in any way possible.